Convenience foods enhance your lifestyle. With all of the complex pressures on people these days, everyone is often too busy with work and even pleasure, to give meal choices the thought that they deserve. Lots of commitments and obligations fill up daily schedules so much so that the obligation to supply a meal for ourselves or for a family or a household becomes a chore. But wait! Help is at hand. There are people out there who are really good at creating meals that can be ordered for delivery at affordable prices. One business, led buy a passionate food professional, provides a solution to the eternal problem of creating tasty enjoyable meals for people who need a little help once in a while. Muscle Meals is a home or work place one stop food source. Buying food as prepared package meals makes sense. Not everyone has time to conceive, prepare and cook unique meals every day of the week. Delivered meals are beneficial in terms of health, brain power, time saving and economy for regular meals. Muscle Meals also provide weight loss meals, weight maintenance meals and nutrition for muscle gain. 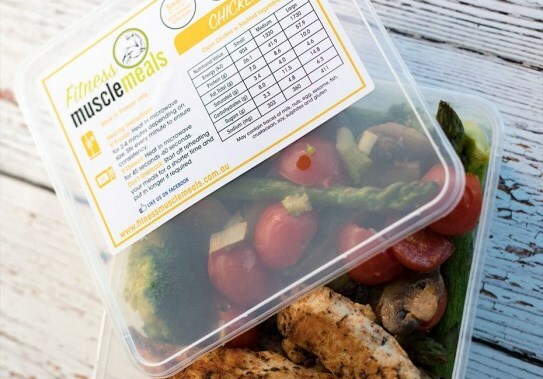 Whatever the dietary need, Muscle Meals has the solution, from main meals to home delivered snacks. Their web site has easy guides to ingredients, cooking suggestions, storage requirements, preparation for serves and details on how to arrange convenient home delivery. Maintaining a healthy body ( and mind ) requires exercise and nutrition. Years of eating junk food and fast food often changes people from teenagers with healthy looking bodies into overweight and even obese adults. We do not see many overweight really old people. Medical practitioners have confirmed that excessive body fat and lack of exercise, often leads to diseases and conditions that kill people way to early. For anyone who is overweight, now is the right time to seek help. Nutrition in the right form and in correct meal portions, coupled with sensible exercise, has been shown to prolong human life. Muscle Meals can supply food that will assist those who choose to switch from poor quality food to a consistently healthy diet. Visit any gym in your suburb and you will see a group of people who care about their health, their image and their lifestyle. Some folks are there to loose weight and others are there to build condition so that they can undertake experiences that test their fitness. Another group want to build body mass and work out to build muscle bulk. Muscle Meals has a range of menus for them too. Don't think of home delivered, professionally cooked convenience meals as being just for lazy folks. Delivery is a time saver and a regular supply of nutritious meals is a way to ensure that daily home or at work meals are sourced as a healthy alternative to bought fast junk food or home made poor food choices.